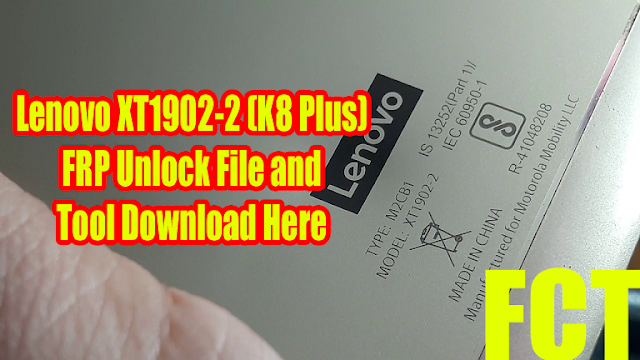 How to Account Unlock or FRP, Lenovo XT1902-2 (K8 Plus) FRP Unlock File and Tool Download Here. You can reset frp lock or Google account lock using the small frp unlock file and it's easy to bypass the account lock or Gmail lock. What you need to do is, just download the frp file and SP flash tool (Link given below) and flash the frp file using Smart Phone Flash Tool and it's done. You can also watch the video tutorial of Lenovo K8 Plus FRP bypass, please visit the link given below to watch the video. Lenovo K8 Plus MT6757 (MediaTek) chipset Android version 7.1.1 frp unlock done using SP Flash Tool. If you have forgot the Gmail id and password which previously used in that phone, then you need to unlock Account verification process to use other Gmail id and password and here is the complete solution to unlock the Lenovo K8 Plus XT1902-2. Just follow the procedure and reset Google account on the Lenovo Moto K8 Plus. How to Flash Lenovo FRP File? Download and Unzip the FRP file and flash tool. Now Open SP flash tool. Click on Start Button and connect the switched off phone. After Download OK, remove the phone and switch ON it. That's all now you have successfully remove the FRP lock or reset the Google account lock of the Lenovo K8 plus Android 7.1.1 smartphone. You can also watch the frp flashing process video, please visit the below link. 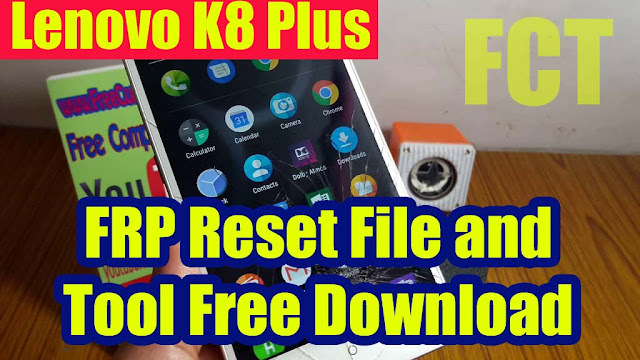 Lenovo K8 Plus FRP Reset Done Using SP Flash Tool Video Tutorial Here.